St. James Orthodox Church - Scriptura Sola: What Is It? Scriptural Sola: What Is It? 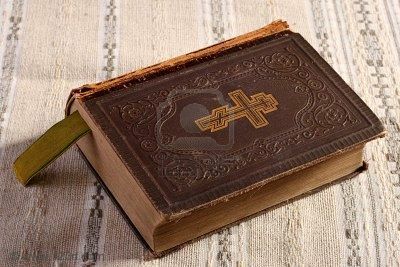 The Protestant love and reverence for the Holy Scriptures is probably the most important gift that they have bequeathed to the world. Though the Orthodox Church is a far more scriptural body in terms of its incorporation of the word of God into its services and as the doctrinal basis of its existence, and though the gospels and epistles are more thoroughly covered liturgically and congregationally in the course of every year, the Protestant insistence on the daily perusal of these priceless writings and their incorporation into the immediate life of believers is something admirable and to be commended. However, as strange as it seems, this estimable trait is almost something of a by-product from a very serious and divisive period in Christian history, a classic example of the Lord being able to bring something good out of something quite questionable. The topic we are discussing is called sola scriptura, the theory that the Holy Scripture contains all that is necessary for salvation and holiness; Scripture is self-authenticating and understandable to the reader, and is able to interpret itself, and is sufficient as the final authority of Christian doctrine. This theory took the form of a doctrine at the time of the Reformation, and to lesser and greater degrees became the governing factor of most Protestantism, remaining so to this day. Again, though in theory Protestantism does not deny Christian history and tradition, it relies on the scriptures as the final word of authority and thereby negates the influence of these other two in practice. In this arrangement, every written word is considered to be the immediate and direct word of God himself. The clarion call of Martin Luther that only God’s word can establish doctrines of the faith became the rallying cry for all the Reformers who believed that this method of doctrinal rationalizing was a return to the fathers and the ancient believers of the Church. Unfortunately, there is no evidence that this was ever the case! Sola scriptura, for all its immediate democratic and self-interpretation attractions, was never a doctrine of the Church then or now, lacks any sort of foundational apparatus that would have been able to sustain the early Christian message, and most pointedly, is profoundly anti scriptural in that there is nothing in Holy Writ that even begins to assert such an assumption. Martin Luther, coming from an obsessive monastic existence that would likely have driven him mad if he continued in it, challenged several aspects of the corrupt practices of the Roman Catholic Church which was attempting to raise money through the sale of indulgences. This subject is complex; let it suffice that Luther had a case. However, when the logical ramifications of his actions required accepting obedience to the Pope, he refused, leaving the whole question of authority in the Church as a gaping meteoric hole that he had to fill, somehow. “He felt that he had illumination from above, not by his own merit, to be sure, and not by ecstatic revelation, but by the grace of God working quietly in his own experience, and if anyone should disagree with him on an important matter, he could pile up scriptural quotations and consign his opponent to God’s judgment.”1 The question that remains to this day is this: if Luther can do that, why can’t the rest of us? And his answer was precisely, “you can”. Of course many Protestants will insist that St. Paul’s comment in Second Timothy lends itself to this elevation over any other aspect of interpretative teaching: “…from childhood you have known the Holy Scriptures, which are able to make you wise for salvation through faith which is in Christ Jesus. All Scripture is given by inspiration of God, and is profitable for doctrine, for reproof, for correction, for instruction in righteousness, that the man of God may be complete, thoroughly equipped for every good work.”4 At first glance this does seem to support the argument; doesn’t scripture say what it is good for, including doctrine? But if this is taken as a final mandate for authority in the Church, would not Scripture itself be clearer on the matter, using terminology more forceful than simply “profitable”? As the mythical Sisyphus continues to push the rock up the hill, never achieving his goal yet never thinking of halting the effort, so those enmeshed in the circular arguments of sola scriptura are trapped in a real Catch-22. In fact this passage can be interpreted in a number of ways, which is proven by the verse preceding the ones quoted: “But you must continue in the things you have learned and been assured of, knowing from whom you have learned them [italics mine]”.5 In other words, there is an obvious oral or non-written aspect to these things St. Paul is talking about. What of the self-authenticating nature of the scriptures? Does the New Testament consider itself inspired? The Orthodox Church is quick to assert this. “No Orthodox Christian would deny that Paul’s affirmation of the inspiration of the scriptures applies to the New Testament by extension. However, at the time Paul wrote to Timothy—and for almost three centuries thereafter—there was no official New Testament canon. Indeed, at that point, not all of the books of the New Testament had even been written.”6 Even St. Irenaeus of Lyons, a bishop writing around 178 AD, suggests that it would take some work to compile a list of scriptures then in use: “…it is beyond our scope and power to draw up an ordered list of all the Scriptures.”7 What this means is that Christians of the first 400 years were quoting and self-interpreting— for doctrine, for reproof, for correction, for instruction in righteousness—from books like the Protoevangelium of James, the Didache, and the Shepherd of Hermas, and a host of others, however worthy, that were being read in the churches at the time, and that didn’t make the final cut hundreds of years later when the current New Testament canon was established. Even St. Peter himself, who insists on calling the letters of Paul “scripture”, says in the same verse that Paul’s works are difficult and need interpretation: “…which untaught and unstable people twist to their own destruction, as they do also the rest of the scriptures.”8 So Peter’s testimony is that even among the baptized members of the Church, who according to the sola scriptura proponents should be able to interpret these things for themselves, there is a certain amount of preparation and emotional stability required to do so. Indeed, they need to be taught. The question naturally arises, taught by whom? The Sacred Scriptures are part of the Tradition of the Church—Christian history knows no other alternative viewpoint until the sixteenth century when the Reformers in essence denied all previous activity of the Lord’s guidance for the life of the Church, and consequently, of mankind. This truly is the great sin of the Reformation. While it may not have been an intentional slight against the work of the Holy Spirit in the Church, and more the work of doctrinal connivance occurring in a great vacuum of the “anything goes” spirit of the Renaissance, certainly from a functional standpoint the damage to the faith given once to the saints was incalculable. 1 Richard Marius, Martin Luther, the Christian between God and Death (Belknap Harvard, Cambridge, Mass., 1999), p.149. (Libreria Editrice Vaticana, 1997), p.25. 7 Irenaeus of Lyons, Proof of the Apostolic Preaching (Newman Press, 1952), p.81. Barrois, G. (1977). Scripture Readings in Orthodox Worship. New York, NY: St. Vladimir’s Seminary. Carlton, C. (1997). 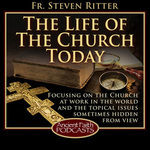 The Way: What Every Protestant Should Know About the Orthodox Church. Salisbury, MA: Regina Orthodox. Clendenin, Daniel B. (2003) Eastern Orthodox Christianity: A Western Perspective. Grand Rapids, MI: Baker Academic. Cronk, G. (1982). The Message of the Bible: an Orthodox Christian Perspective. Crestwood, NY: St. Vladimir’s Seminary. Hall, C. A. (2002). Learning Theology with the Church Fathers. Downers Grove, Il: InterVarsity. My Online Donation to Saint James Mission!